Hello friends! Steph at The Silly Pearl here with another fun craft tutorial. 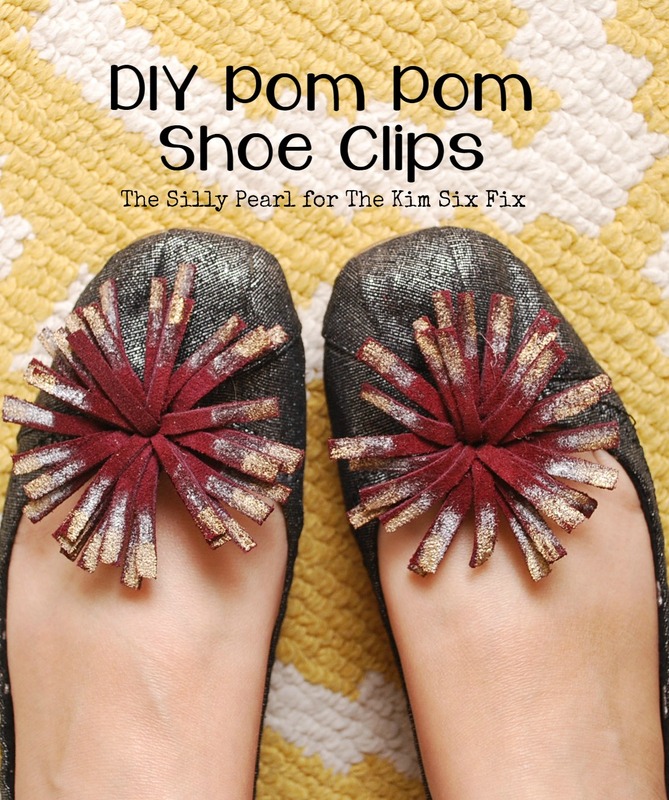 Here's a quick an easy way to dress up your plain flats for any occasion: DIY Pom Pom Shoe Clips. 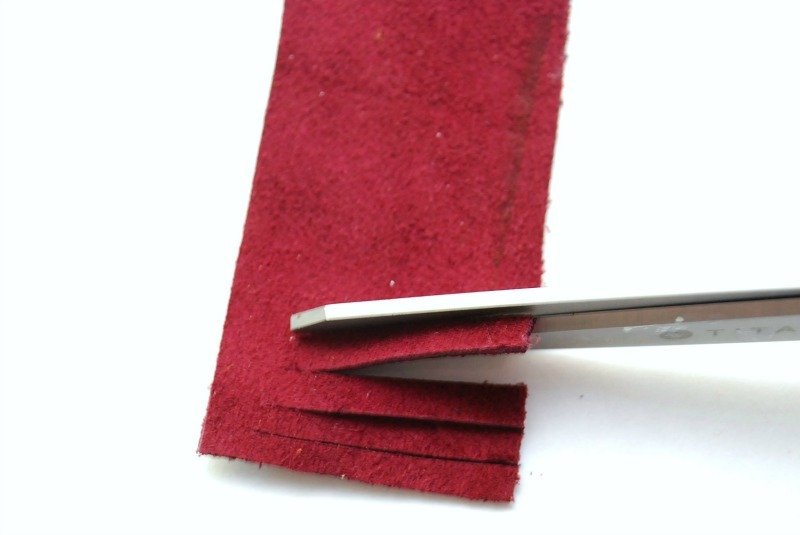 Cut a 6x1.5-inch piece of suede or leather. 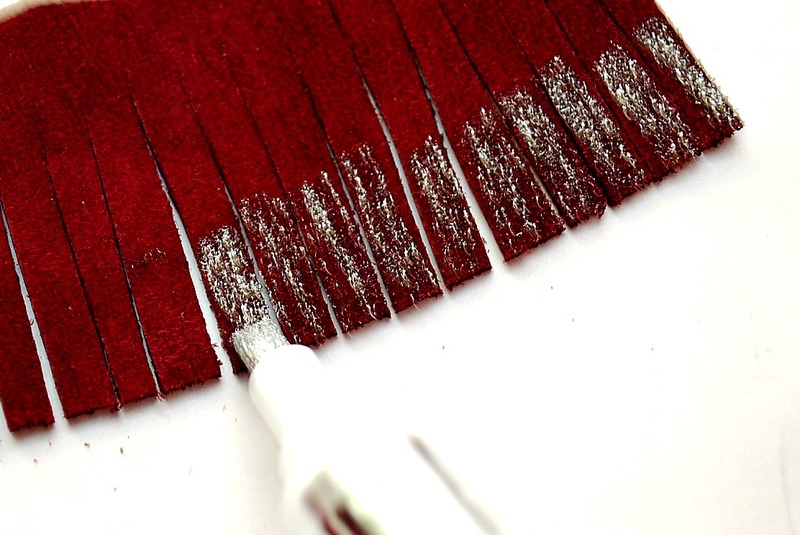 If you'd like your pom pom flufflier, you can use a longer strip. Then, use your scissors to create fringe along one edge of the suede strip. I cut from one edge to about 1/4 inch from the other edge. 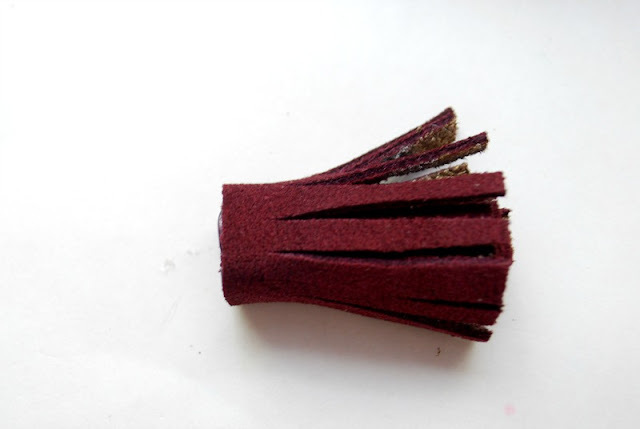 The fringe themselves are about 3/8 inch wide. 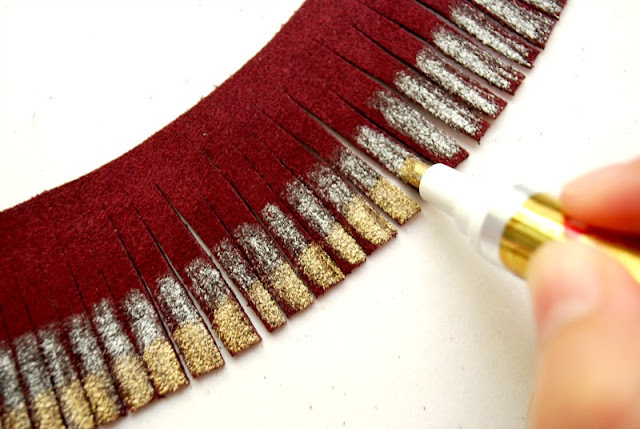 To add some shimmer, paint the fringe with metallic gold and silver leaf pen. First I applied the silver to the fringe, about halfway up. Then I applied the gold, just to the tips. Turn the tassel so the non-cut side is down. 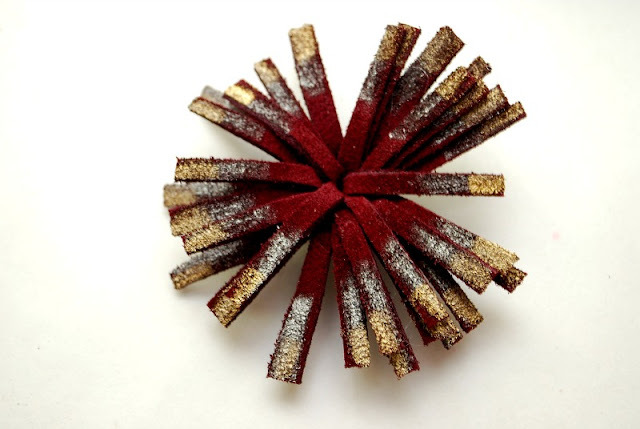 Open up the tassel so it forms a flower, with all of the metallic side showing. Push it down firmly with the palm of your hand. 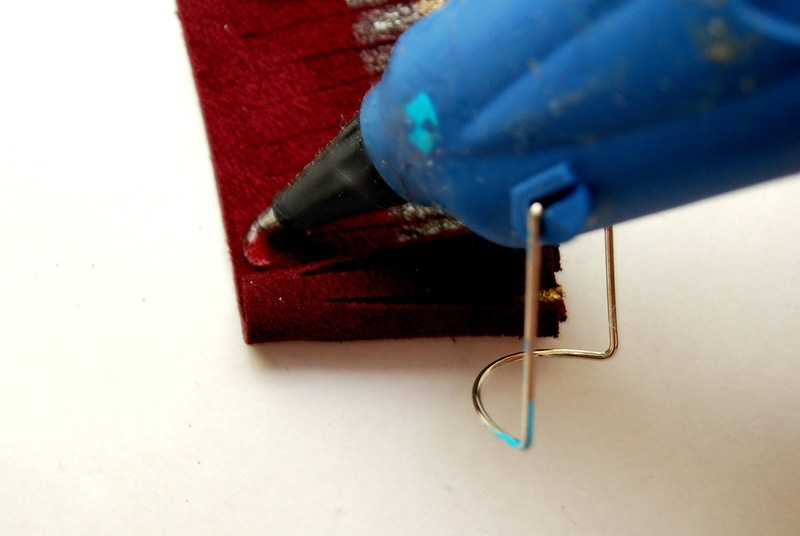 And finally, turn it over (trim the end if it's uneven) and glue on one of your shoe clip findings. 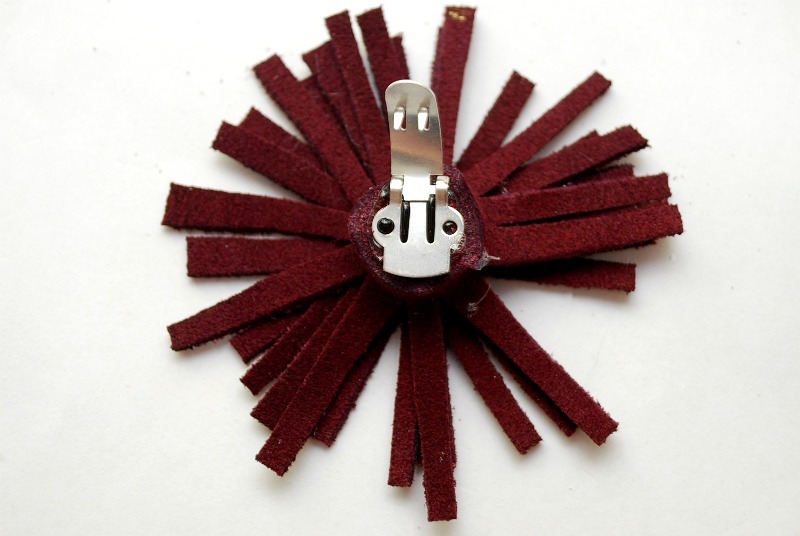 Mine have "teeth" on one of the flaps, so those go on the unglued side and will attach on the inside of your shoe. 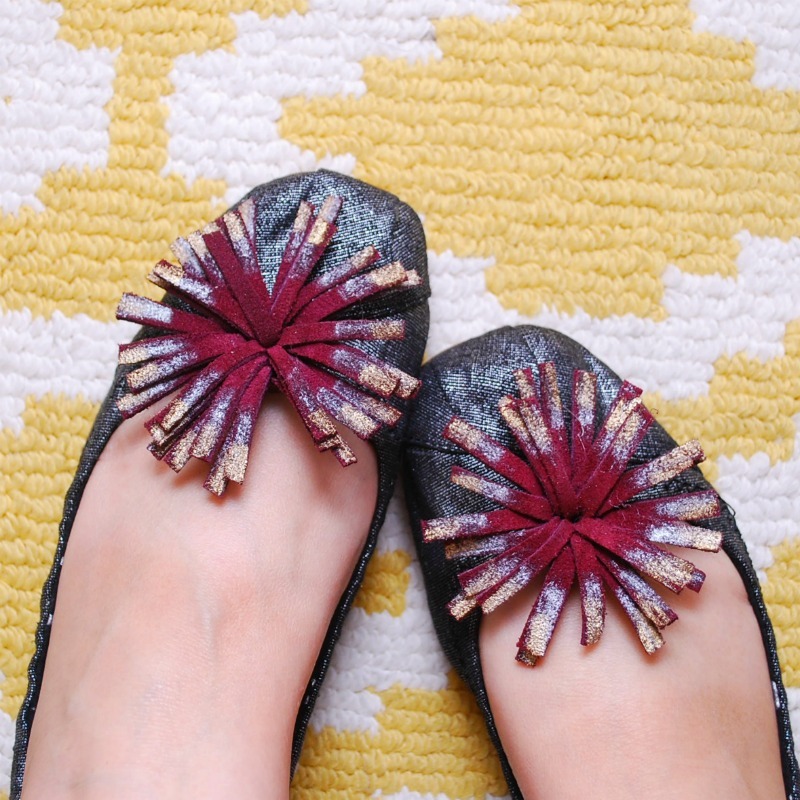 Note: If you'd like to cover the teeth to protect your shoe, just glue a small scrap of felt to it. Make another one and clip them to your flats. All done! These are so fun, I want to make more. 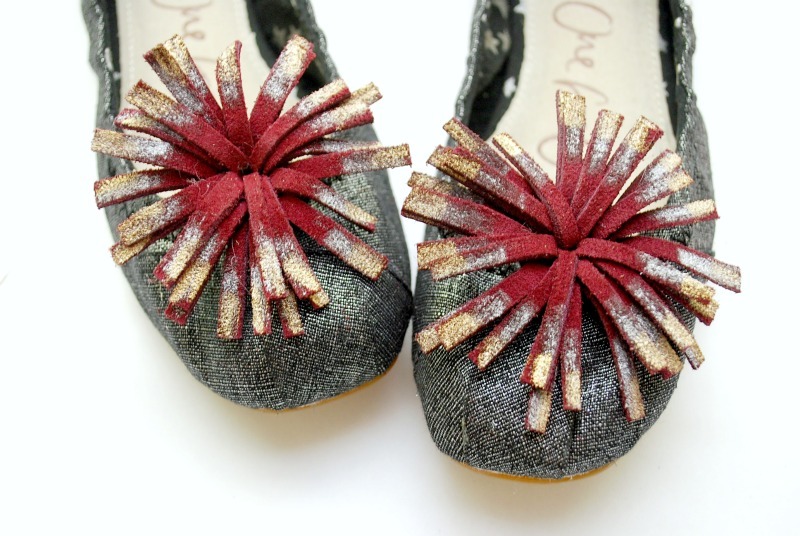 These would make cute gifts as well.